Water pillows contain, you guessed it, water. 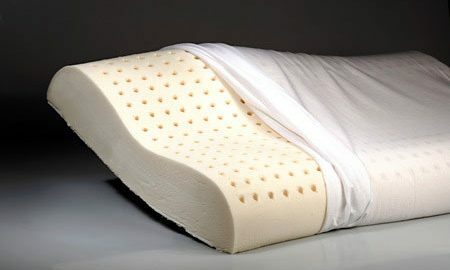 Most water filled pillows are simply a plastic reservoir wrapped with poly foam or a down alternative. Water pillows are popular due to their ability provide unchanging, firm support. 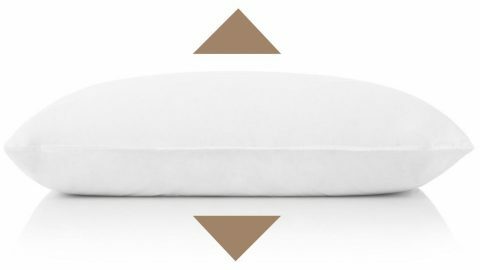 Soft traditional pillows containing fill like down have a tendency to collapse under the weight under your head while you sleep, resulting in an uncomfortable downward bend in your neck. Water pillows, on the other hand, are capable of maintaining the same loft (thickness) regardless of how much pressure is applied, keeping your head elevated to an appropriate level. Water’s incompressible liquid nature offers unique benefits: it can’t be squashed down, yet it is adaptable and will conform to the shape of your head and neck. Water pillows offer “proof” of improved sleep. Water pillows are marketed as being “clinically shown to improve quality of sleep.” They utilize keywords like, “pillow for neck pain” to effectively advertise to those experiencing sleep discomfort. 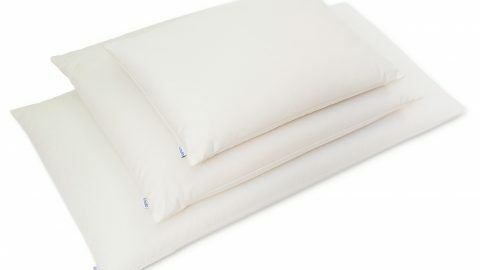 Manufacturers cite a 20 year old study conducted by Johns Hopkins University as proof that their products provide improved sleep: Cervical Pain: A Comparison of Three Pillows. The subjects in the study all suffered from persistent neck pain and were asked to rate both the quality of their rest and perceived pain reduction while using each of the three pillow types. The study concluded that different pillow types could reduce pain and improve sleep quality. And it did, in fact, show that participants preferred the water pillow to both the neck roll and standard pillows. They perceived better sleep and reduced pain intensity when using the water pillow versus the alternatives. The study’s results are easy for water pillow manufacturers to exaggerate. 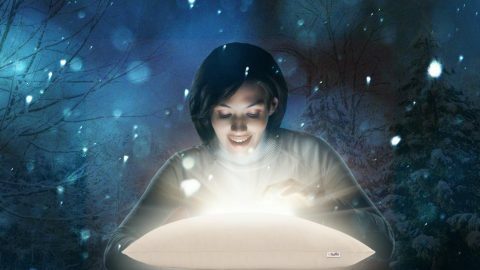 The interpretation of the study used in water pillow marketing is a bit misleading. Yes, the water pillow was superior to the other pillows used in the study, but it’s easy to assert that it didn’t have very strong competition. To say that the water pillow was better than a foam neck roll or an ill-defined “standard pillow” isn’t really telling us very much. Down and foam pillows do not offer consistent support. First, consider that the reference group of “standard pillows” filled with down or foam fill are not a good choice for those suffering from neck pain. Both tend to slowly collapse during the night, resulting in inconsistent support. If your pillow is too thin, you’ve likely got an uncomfortable downward bend in your neck. Fold it in half or use two pillows and you’re often stuck with the opposite issue: an upward bend. It’s understandable that soft down and foam pillows were lumped together as “standard” pillows in the study. These two pillow types dominated the pillow market at the time the study was conducted. The options have changed pretty substantially in the last 20 years; down and foam pillows are no longer the standard. Their market supremacy has been challenged by other supportive options like memory foam, latex and buckwheat hull pillows. Like water pillows, they all offer support that is superior to down and foam. The foam neck roll used in the study is an unconventional type of bed pillow that many will find peculiar. Neck roll pillows are generally not sufficient for use alone as a bed pillow due to their lack of loft (thickness). They’re simply too thin for most. Thus, they’re often used in conjunction with another pillow to provide additional support. Additionally, in the western hemisphere, most of us are acclimated to rectangular 20×26″ pillows. For this reason a non-traditionally shaped pillow like the neck roll will probably take some getting used to. It’s easy to imagine the participants in the study having trouble acclimating quickly to the neck roll and therefore preferring the water pillow. I bought one! Before I relate my experience, I should acknowledge that I am not currently experiencing any type of neck pain. Thus, I’m not really qualified to say if a water pillow is truly more effective than a neck roll, down or foam pillows at reducing pain. I can, however, tell you if it’s supportive and comfortable! I’d read about water pillows before, but this was the first time I tried one for myself. I did a little research and picked what appeared to be the best one available. It had favorable reviews and seemed like a reputable brand. When I pulled it out of the box, the water pillow didn’t seem any different than a traditional foam pillow. It was very soft and about 4″ thick without any water in it. I turned the pillow over and discovered a small circular cap which allows it to be filled with water. The instructions showed that I should unscrew the cap and replace it with a small included funnel. The amounts of water required for soft, medium and firm were indicated but I didn’t bother measuring. Instead, I filled it straight from my kitchen sink’s faucet until it seemed appropriately full. I pushed the excess air out of the water bladder and carried it to my bedroom. It was a bit too thin at first… As a side sleeper, I need a high loft, firm pillow. I added a bit more water. After a few trips back and forth to my kitchen, I managed to adjust so that the loft seemed just right. Most pillows aren’t adjustable like this. Despite a bit of extra effort, I really appreciated the ability to fine-tune the water pillow’s loft. A water pillow is hefty. Once filled to my preference, it weighed 10.5 lbs. Personally, I don’t its heft a disadvantage, but if you like to move your pillow around, you might consider it a shortcoming. I will admit that I was a little nervous about moving it because its seams and fabric didn’t look particularly durable. I was immediately able to feel a water-based pillows’ benefit. You sink your head into it and you don’t have to worry about it collapsing under pressure the middle of the night. Water is incompressible, so whatever loft you’ve fine-tuned is what you’ll get, consistently, night after night. Your head will be elevated just as you like it. Water makes a unique sloshing sound. The instructions made it clear that I needed to remove all the air from the pillow or it’d make some noise. Even with all the air squeezed out, it’ll make a bit of noise when you move around on it. Some reviewers complain about the sounds produced by a water pillow, but I didn’t find it distracting in the least. In fact, I thought the sounds were rather soothing. Maybe I built up a tolerance in 80s when I slept on a waterbed! The fiberfill overlay was way too compressible and far too soft for a side sleeper like myself. The fiberfill wrapped around the water bladder was far too squishy for my preference. When on my side, my head would sink deep into the soft fill until it met the resistance of the water bladder. The sides of the pillow would push uncomfortably against my face. It made me feel slightly claustrophobic. I would have preferred it wrapped in less of the fiberfill. Even when the water bladder is filled with a minimum amount of water, I imagine it would be too thick and soft for most stomach sleepers. Accordingly, most water pillows are probably best suited for back sleepers. A water pillow is not moldable. I found the lack of moldability to be the water pillow’s biggest disadvantage. I couldn’t squish the pillow into the shape I desired because the water contained in the bladder always bounces back into the same rectangular shape. The fiberfill wrapped around the bladder offered a little bit of moldability, but it’s nothing like other malleable fill types like down or buckwheat. Does a water pillow have a cooling effect? The water pillow manufacturers don’t list cooling as a benefit, but It seemed like a possibility. I’d tested a cooling pillow insert filled with water before and thought that perhaps this water pillow might have a similar cooling effect. This turned out to not be the case. When not in use, the water contained falls to room temperature and will feel quite cold to the touch due to the physics of heat transfer. However, the fibrefill acts as insulation between the water and your skin. As a result, there is no perceptible cooling effect. After reading the product literature more carefully, I discovered that the water bladder was covered with a thin thermal insulation. This helps to prevent heat transfer to the water. It actually felt a bit hot compared to my favorite pillow, which sat quietly on the floor waiting for the water experiment to run its course. That said, I doubt it’s any worse at staying at a comfortable temperature than most pillow types. Water Pillow Verdict: Sink or Swim? Supportive — I’d say it’s a water pillow’s best attribute. Provided you’ve taken the time to fill it properly, a water pillow will consistently keeps your head elevated at just the right level all night long. 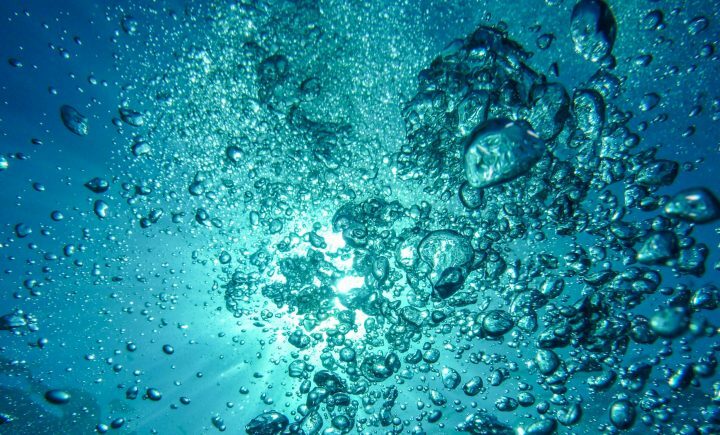 Supposed Pain Relief — I wasn’t able to determine if my water pillow was indeed capable of reducing pain, but the many positive reviews online (and even the Johns Hopkins study) suggests a genuine benefit. Adjustable — Not many pillow types are adjustable. This is a big advantage. It can be very difficult to find the pillow that’s just right for you-they’re always either too thick or thin! Not moldable — There are no options with a water pillow-it won’t change shape. That pesky water always bounces back. Some types may be wrapped in a fiberfill that’s too soft — My water pillow was covered in a super soft fill that pushed upward awkwardly into the side of my face. Leaks (potentially) — I read several water pillow reviews online that mentioned leaks. A wet mattress and flat pillow aren’t conducive to good rest! I was genuinely impressed with my water pillow. I’m certainly no convert, but I admit it wasn’t the gimmick that I expected it to be. I’ll be sticking with my buckwheat pillow. adjustable loft. 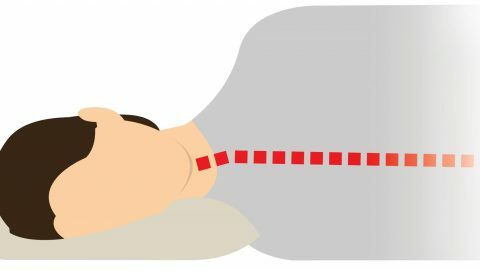 Being able to adjust your pillow so that you’re positioned in a neutral sleeping position is a big deal. Without adjustable loft, or very careful pillow purchases, you’re most likely sleeping on a pillow that is either too thick or too thin. consistent and comfortable neck and head support. The study states that, “…if neck pain is exacerbated during sleep by poor head and neck support, then it is not surprising that individuals frequently awaken experiencing increased morning headaches and neck pain.” Proper, consistent head and neck support makes a big difference in quality of sleep. 20 years ago, maybe the water pillow was the best solution for many. Today we have far more pillow options that can provide the same or better benefits. What are some good alternatives to water pillows? buckwheat hull pillows. 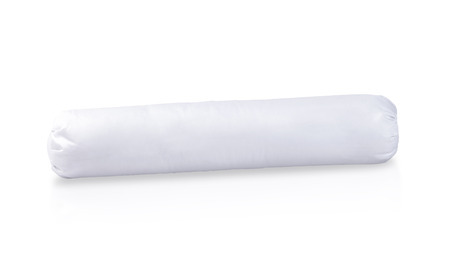 These unique, all natural, adjustable pillows are many chiropractors’ favorite. memory foam pillows. OK, I’m admittedly not super enthusiastic about these due to their potentially toxic components, but some swear buy them! latex pillows. Latex pillows are derived from the rubber tree and are very similar in feel to memory foam, sans toxic chemicals. contour pillows. Contour pillows are molded in a concave shape that’s meant to cradle and keep your head in a consistent position. Try Hullo for 60 nights. If you aren't sleeping better, send it back to us for a refund.